Standardization. In theory, it’s a good idea as it relates to consumer research. It certainly helps with efficiency (we’ll talk about that one another time ?). Researchers are happy when they can compare the results of several studies because things are done the same way. That’s fine if you’re testing the very same thing over and over again, and assumes the world around you isn’t in constant change. But it is. People change. Societies change. Life experiences change us in an instant (Orlando will be forever changed after the Pulse incident). Product expectations change. And hopefully, your product offerings are changing too. The challenge for researchers is to understand when to keep things the same, and when to change. For the record, I’m an advocate of asking many of these types of questions in the same way to cross-compare – things like overall satisfaction for a service, or overall rating and purchase intent for a product. However, it may be necessary to change the “internal” ratings when evaluating new product ideas and executions to better reflect consumers’ overall experience. After all, “new” product ideas indicate that something is different about the product, and “new” survey or research questions should be added to better understand how consumers feel about the differences. 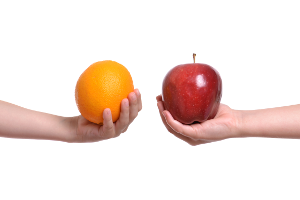 Otherwise, you’re comparing things that aren’t comparable- apples to oranges. Here’s a case in point. We recently were a part of research where a new product was a preference winner, but an internal ratings loser compared to current product. What? How can that be? This can happen when there isn’t a standardized question being asked that encompasses what consumers experienced. While the product fell short in terms of some of the standardized questions (and likely needs more development in these areas), it provided consumers with a paradigm shift in other areas. In this case, the test product had a much greater sensory appeal than consumers realized was possible in this product category. They wanted to tell us, but couldn’t find the right “standardized” closed-ended question to do so. Overall rating or preference is all they had. Thank goodness for open-ended voluntaries! 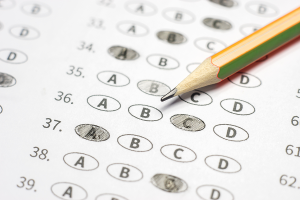 Keep standardized “overall” type of questions. They are helpful in cross-comparison and the actual numbers have a significance to those of us with a history using this rating. 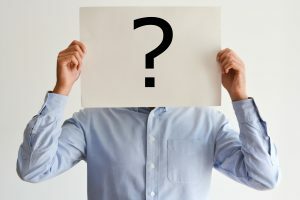 Make sure to include some new questions that you believe “zero in” on some of the benefits unique to the product being evaluated. Don’t forget to include those open-ended questions – they may not be efficient, but they are incredibly useful! Consumers will try to express themselves through the ratings, but if they can’t, the voluntaries are priceless. A few discussions can shed a lot of light on any confusing data. One-on-one discussions are still the gold standard in my book. When you’re not clear on what the data means, slowing down and having a relaxed conversation with consumers can clear up most things. Many clients come to us with a rough understanding of who their target consumer is. Oftentimes, we are tasked with finding respondents who meet set criteria, such as earning within a certain range of income, having obtained a level of education, etc. For companies who have not had the benefit of running research on their consumers themselves, the target consumer may be a little more difficult to define. 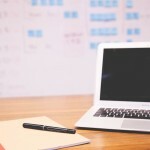 How can Product Insights help? 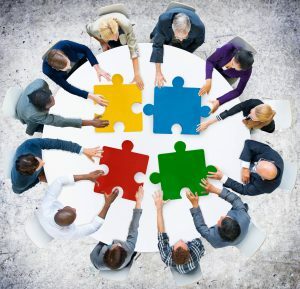 We have helped many companies, large and small, help better define who their “Who” is. We employ many different techniques to help us gather information on the background of the consumers most likely to utilize your products. We’ve done this through internet surveys, habits and practices studies, in-home ethnographies, shop-a-longs and more. Each type of research affords us a glimpse into the consumer’s life. “Real Life, Real People” is our motto. A visit to a consumer’s home will provide a glimpse into their reality – are they talking the talk and walking the walk? We’ve even asked consumers to snap and upload photos of their pantries, under their bathroom sinks as well as of certain brands that they currently have in their home so that we can confirm and better round out the profile on that particular individual. Let us assist you with your next recruit! We’ve been on your end of the research and understand how important it is to have the right consumer in your groups. To that end, we won’t ever just “fill a seat” for your project. We employ many methods that allow us to recruit in unconventional ways to find the right people for your research. We call it our “artisan approach to recruiting”. Because of our problem solving skills, we’ve been awarded and have successfully recruited many difficult, low incidence recruits. We love the challenge! Please contact us today to discuss how we might be able to assist you. Many of us are familiar with the story of Goldilocks and the three bears. 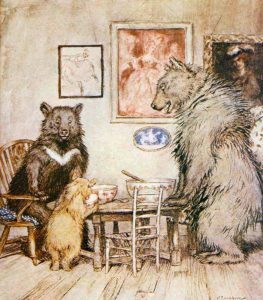 According to literary reviews, this children’s story makes extensive use of the rule of three, featuring three chairs, three bowls of porridge, three beds, and the three title characters who live in the house. 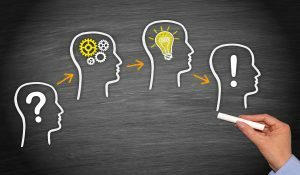 At Product Insights, we aim to provide the best possible setting for your research project and have, in effect, created our own “rule of three” in facility offerings. 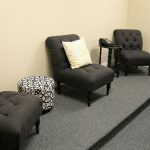 We have a small, cozy viewable focus group room that is ideal for one-on-ones and closer, more intimate conversations. 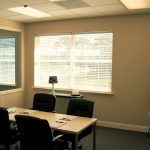 We also have a more traditional, larger focus group room that allows us to seat up to twelve respondents around a table or in a casual family room style seating arrangement. And we have a new room that’s right in the middle! Click the images to view them full-size! Our latest set of focus group rooms is right in the middle of these two. Designed to accommodate 5-6 respondents around a table or in a comfortable seating arrangement, this newest room allows us the flexibility to provide the type of setting that is just right for your project! Because, let’s face it, Goldilocks was onto something. For each and every situation, there will be one option that seems “just right”. Contact us today to find out how we can best accommodate your next research project! Whatever your need, we’ll try to find the solution that is “just right” for you. Here’s to the Goldilocks in all of us! Product Insights is known for seeking out and embracing the latest technologies, and we are proud to offer High Definition video recording and live streaming to our clients. Live streaming is more popular than ever – and with good reason! 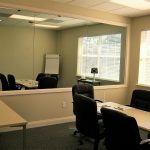 Our cameras can capture your focus groups and research interviews live and deliver them to wherever you or your team members may be. The media content can be viewed in real-time (live) or on-demand at a later time to ensure that your team has the opportunity to participate in the research, wherever they may be. 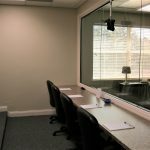 Product Insights’ latest, state of the art, HD live streaming option provides live online transmission of focus groups, interviews, taste tests and consumer interactions from our facility to observers world wide. With the high cost of travel, this option provides an affordable solution for your team to observe and interact with their consumers from their office, home or anywhere they may be – right from their laptop! Video streaming has become an integral part of market research. Let Product Insights Streaming capture and transmit your important project to team members all over the world! Contact us today to learn more! 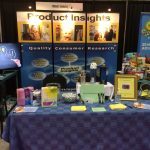 Product Insights recently attended the Southern Women’s Show at the Orlando Convention Center! Why do we attend trade shows such as these? 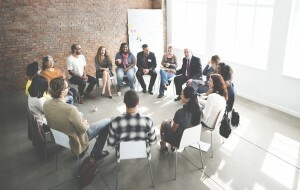 At Product Insights, we seek out and partner with premier organizations to ensure that we keep up to date on the important issues, trends, programs, tools, and resources in the industry. Exhibiting at conferences such as these allows us to not only expand our professional network, but to learn from one another, as networking with professionals outside our company gives us a broader perspective of the marketplace. Our affiliation with professional organizations ensures that we are up to date on the best practices in market research and product development. Additionally, we use shows like these to increase our database of consumers to call on for market research projects. We love to think “outside the box” and present ourselves and our company to people who may never have considered sharing their time and opinions for the sake of product development. We find that these types of consumers offer a more realistic insight into what consumers are thinking today. These aren’t “professional panelists” who answer just to get on a panel. They are regular, everyday men and women who, once they realize that we care about their thoughts and opinions, are interested in participating and lending thoughtful, honest responses to our research questions. At Product Insights we carefully monitor how often a panelist participates in market research projects. We want to ensure that the right respondents are in your research, and we go to great lengths to recruit with integrity and professionalism. In fact, we are so well known for our excellent recruiting, that we are often sought out to recruit low incidence studies. Whatever the project, we handle your recruit the way we would want our own recruiting handled. 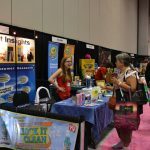 Every year, as we make our selections of which trade shows and conferences to attend, we consider what will be most beneficial for our clients and our consumers. It’s important for us to step outside of our offices and discover what’s new in the industry. We return refreshed and ready to implement exciting new techniques!